There is an old proverb that states, "Life is in the breath. He who half breathes half lives." If you have allergies, asthma, or other breathing problems, this proverb may sound very familiar. But a greater understanding of your breathing problems, along with an accurate medical diagnosis and effective treatment, can help you regain control. It doesn't matter what type of breathing problem you have. Daily control is vital to living an active, productive life. There are many causes of breathing problems. Some people have difficulty breathing when they get a cold. Others have trouble breathing because of occasional bouts of acute sinusitis. Sinusitis can make it difficult to breathe through your nose for a week or two until the inflammation subsides and the congested sinuses begin to drain. Many breathing problems are chronic or long-term. These common breathing problems include chronic sinusitis, allergies, and asthma. These problems can cause a host of symptoms such as nasal congestion, runny nose, itchy or watery eyes, chest congestion, cough, wheezing, labored breathing, and shallow breathing. The nasal passage is a pathway for viruses and allergens to enter your lungs. So the nose and sinuses are often associated with many lung disorders. A sinus or nasal passage inflammation may trigger reflexes and cause asthma attacks. And the No. 1 trigger for asthma is allergies. More than 50 million Americans have hay fever or other allergies. And 17 million American adults have asthma. Oftentimes, asthma and allergies occur together. When they do, they can make life miserable if left untreated. Millions of Americans have breathing problems because of chronic obstructive pulmonary disease, or COPD, which includes emphysema and chronic bronchitis. Breathing problems may also stem from other serious problems such as lung cancer, tuberculosis, pneumonia, and lung disease related to HIV/AIDS. Doctors diagnose breathing problems by performing a physical exam, taking a patient history and family health history, and using different tests. For instance, pulmonary function tests, also known as lung function tests, are frequently used to assess lung function in people with asthma. These tests include spirometry and a test known as methacholine challenge. Spirometry is a simple breathing test. It measures how much air you can blow out of your lungs and how fast you can blow it. This breathing test is used to determine the amount of airway obstruction. A methacholine challenge test may be performed to help establish a diagnosis of asthma. Your doctor will know which test is best for your situation. In some cases, the doctor may take an X-ray to see the structures inside your chest, including the heart, lungs, and bones. A chest X-ray is a good test to diagnose pneumonia. It can't, though, identify most breathing problems by itself. 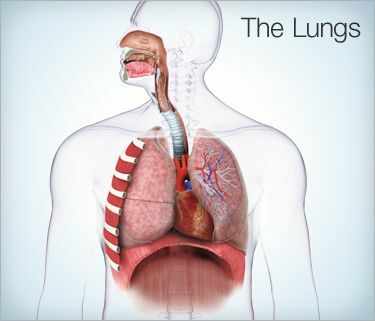 For some people with breathing problems, a CT scan of the chest is needed. This scan looks for any problems in the lungs. A CT scan uses X-rays and a computer to create detailed images. If you suffer with chronic sinusitis, your doctor may order a special sinus CT scan. This scan will be used to evaluate your sinuses. Once the problem is diagnosed, your doctor may prescribe effective treatment to help resolve the breathing difficulty. Allergy tests may help your doctor identify the cause of your breathing problems. There are several types of allergy tests your doctor might use. One of them is the prick technique. In this test, the doctor first puts a tiny drop of allergen on your skin. Then the doctor makes a puncture with a needle directly in the drop of allergen extract. If you are allergic to the specific allergen, your body will react to it by turning red at the site. You may also experience itching and swelling at the site of the allergen placement. These tests are used less frequently than the skin testing. After performing allergy tests, your doctor may know what's triggering your breathing problems. Then the doctor will be able to treat your allergy symptoms more effectively. Substances that cause breathing problems are known as triggers. Avoidance of triggers is the No. 1 way to control allergies and asthma. As an example, wearing a dust mask when doing housework or yard work may cut down on your exposure to allergy triggers. Avoiding a furry pet, washing bed linens at least once a week, staying indoors during peak pollen times, and changing the filter on your air conditioner frequently may also help prevent serious problems if you have allergies. Medications are also important in treating breathing problems. Allergy drugs such as antihistamines and decongestants may make it easier to breathe for some people with allergies. These medications can be delivered orally or through nasal sprays. In addition, inhaled steroids may give relief to some with chronic allergies and sinusitis. These drugs work to reduce inflammation in the airways. Allergy shots are yet another way to reduce sensitivity to allergens and may give relief to some breathing problems. Even exercise and cold weather can be an asthma trigger in some people. So often, people seek medical intervention only after they have had breathing problems for weeks to months. Often by the time the medications are started, damage has occurred that takes more time to heal. An accurate diagnosis is important before you can treat and prevent breathing problems. Each of us is different. The specific medication and treatment program that works for a family member or friend may not be the correct one for your problem. In fact, it is difficult to really understand your respiratory problem without a clear and thorough understanding of how breathing works. If you have symptoms of one or more of the common breathing problems discussed in this article, see your doctor for an accurate diagnosis. Write down any questions you have and seek answers. Prevention and treatment measures can dramatically help relieve and possibly end the breathing problems you experience. American Lung Association: "What is Hay Fever?" American Lung Association: "Lung Disease." American Academy of Allergy Asthma and Immunology: "Tips to Remember: What is Allergy Testing?" American Lung Association: "Asthma Facts." American Academy of Allergy Asthma and Immunology: "Rhinitis and Sinusitis."